Board has selected the performances for the 78th concert season (2018 - 2019). For more details or to purchase tickets visit the "Concerts" or "Tickets" tabs above. Private piano recital and reception held to thank Patrons and Sponsors. On May 20th a private recital and cocktail reception was held to say thank you to the Sponsors and Patrons of Golden Isles Live. The event was held at Marsh's Edge, Saint Simons Island. 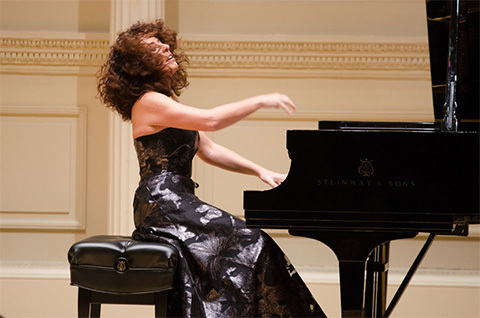 Renowned pianist and composer Cristiana Pegoraro performed. Cristiana has performed at the UN General Assembly and received the coveted Gold Metal Music Award in 2016. The New York Times says "...she is an artist of the highest caliber...!"